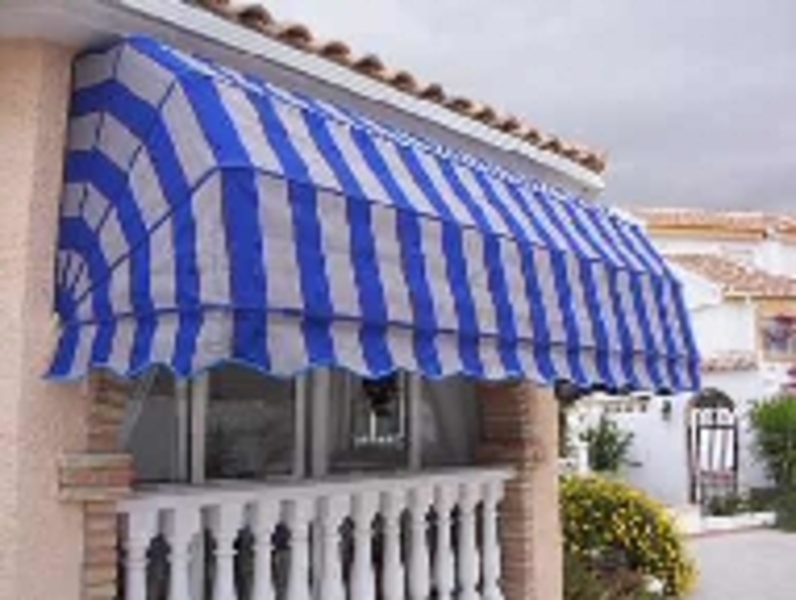 Toldos Costa Blanca is the leading Spanish Awning company on the Costa Blanca in Spain. It has the widest range of solar protection products covering all kinds of blinds and awnings. Our company has a wide range of options so our customers can choose the one that best suits their needs. Our sales department will advise you which is the best product for your home depending on your particular requirements.. It is a system installation with invisible arms specifically designed for placement on balconies of small and medium size. Their small medium and meticulous design give this spanish patio awning a very refined finish. It is also possible to install awnings on terraces that are invisible to cover large areas, this system, one of its variants, allowing outputs of up to 5 meters, although it is important to note that not all places where this sheet must be anchored invisible arms are fit to do so. Have to admit I never thought that you would of been able to repair my blinds.